Early morn from Travers Peak. (above Lewis Pass) down the Lewis Valley. 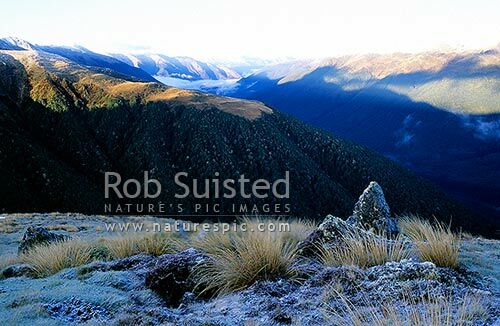 Foleys Creek in foreground, Lewis Pass, Hurunui District, Canterbury Region, New Zealand (NZ), stock photo.